Home / Blog / What is People Counting, Anyway? As a brick-and-mortar business, you’re likely familiar with many marketing tactics and platforms designed to draw customers into your retail space: TV/radio advertising, direct mail, email marketing and social media are just some of the options. But what about when the customer is inside your store? What kind of tools are you using to gauge the effectiveness of your in-store experience? Moreover, what can customer behavior inside your business location tell you about how effective your sales people are? What can you learn about how your displays are laid out and organized? Could you be staffing your store differently for better performance? With all the effort (and money) spent on getting a customer through your doors, shouldn’t we be putting just as much effort into improving the customer experience (and our conversion rates) while they are inside your business? This, my friends, is where people counting technology comes in. And no, we’re not talking about hiring a teenager to stand at your door marking notches on a clipboard as people walk in. It’s much more involved (and way cooler) than that. In fact, people counter technology is gaining traction across dozens of industries because for a relatively low cost, business owners can gain valuable insights that will greatly streamline and improve operational practices. As you might expect, when a customer passes through your doors, a people counting sensor near the entrance notes the time they enter, adding them to the day’s visitor log. But it doesn’t stop there. Additional sensors placed throughout the entire sales floor track the visitor’s movements throughout the space, taking particular note of time spent idling in a particular zone. Data from each visitor is cataloged and soon after install, traffic patterns and other insights begin to emerge. Over time, people counter data is used to optimize store layout, staffing, hours of operation, and even marketing campaigns taking place outside of your establishment. Counting devices capture data using various technologies depending on the device. These technologies range from cameras, infrared sensors, pressure-sensitive mats, thermal imaging, Wi-Fi enabled cell phone data, or some combination of these. Depending on the technology, sensors can effectively distinguish between humans and moving items (e.g. shopping carts), individuals and groups, and even adults and children, making people counting technology agile and beneficial across many industries. Some devices, like the ones used by Flonomics, have even been shown to capture data with as much as 98% accuracy. So you’ve got people counters installed throughout your business, and they’re collecting loads of data about your customers and their movements. Now it’s time to pull it all together and draw some actionable insights using a dedicated data dashboard. People counter dashboards compile visitor data by date, time, location, and a variety of other factors. Analysis of this data creates insights that help users draw the conclusions they are after as easily and as quickly as possible. For our clients, the Flonomics Dashboard is where the people counting experience really comes to life. The Retail Performance Manager displays traffic data in an intuitive, easy to understand manner, in real-time, so users can begin utilizing their insights immediately. To start, the dashboard comes pre-loaded with our most popular (and often, most effective) metrics. For those looking for more specific insights, or just looking to satisfy a certain one-off curiosity, the Retail Performance Manager is fully customizable and can be utilized to generate a huge assortment of unique reports. What types of businesses can benefit from people counting technology? For brick and mortar retailers, people counting really is a game-changer. Like other industries that are competing with the rise of e-commerce retail, businesses from mom and pops to large chains can see huge benefits to their bottom line with people counter technology. 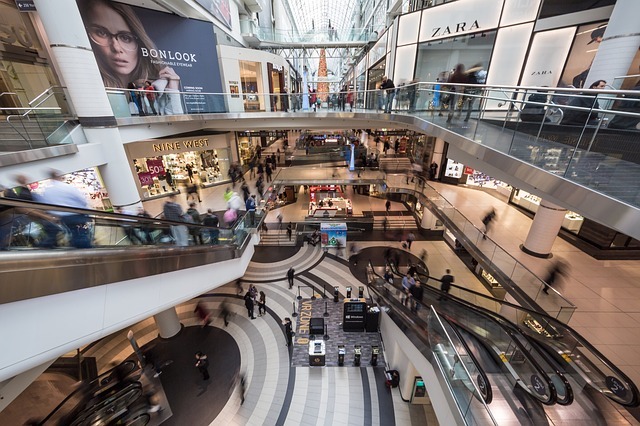 For companies with multiple locations, cross-shopping analytics can help compare store performance across several locations. Exhibit layout and selection: with effectively positioned people counters, museum administrators can determine the engagement level of individual exhibits. With an accurate account of how long average visitors linger by a specific display, one could draw strong conclusions about what exhibits are most popular. These insights could lead to more prominent placement of an exhibit within a space, and even a better idea of what types of exhibits would perform well in the future. Volunteer retention: If you know when your busiest times, days, and months of the year are, you can staff your facility properly based on expected visitor volume. This is especially important when managing a staff of unpaid volunteers. Learn more about finding volunteer opportunities in your city. Always be positioned for funding requests: many museums and attractions rely on outside funding to keep their doors open. By equipping public spaces with people counters, administrators have reliable visitor data that is ready for export at a moment’s notice. This allows users to show attendance growth and increased public interest over time, making it much easier to secure much-needed funding. People counting is a growing industry, and as it expands, so does the desire for more information about the visitors who pass through your doors. We believe the next step is Smart Wi-Fi. Do you offer wireless internet access to your customers while they visit your business? if not, you should. If you do offer Wi-Fi, why not leverage that service to gather contact information, track customer loyalty, stay in touch after they leave, and more? AND, you’ll never have to give out a wireless password again. Flonomics is proud to help hundreds of businesses around the world to improve their in-store customer experience and make sound business decisions. If you are interested in learning more about how people counter technology can help your business, drop us a line at (855) 381-6109 or fill out our contact form!